Miami Vice TV or Miami Vice MOVIE? In the original Miami Vice shows, what episode and info was the "old man" who said "very, very important", sort of a skeleton look, very fraile but powerful? Vin Diesel and Fast & Furious movie writer Chris Morgan's production companies are workin' with NBC and a script from Peter Macmanus for the 2018-19 season... artigo por Joe Otterson for Variety, 2 AUG 2017.
música video for "Smuggler's Blues" por Glenn Frey, on Vimeo. 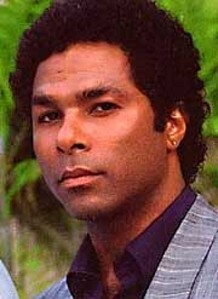 What was the name of Philip Michael Thomas's first album? Don Johnsons Sunglasses raio, ray Ban Wayfarers are on EBAY! !